Welcome to HOOKSHOUSE POTTERY established in 1975 by Christopher White. 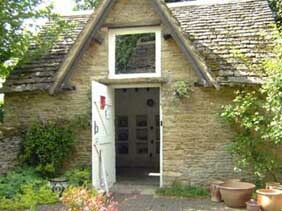 The pots he makes here include decorated one-off pieces, domestic ware and garden pots, some woodfired, all raw glazed. There is a showroom at the pottery where you can see the pots and buy if you wish. The map below should help you find us. 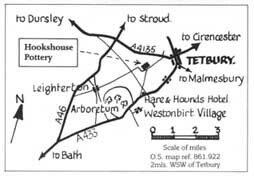 The pottery is just one mile from the delightful National Arboretum at Westonbirt. Twice a year we hold exhibitions which include work by visitng artists and craftspeople. There is also a programme of courses centered on intensive weeks of help with throwing skills.